Or Driving to a Meal! Every Christmas I like to find some new event or place to visit to keep Christmas special and a little bit new. 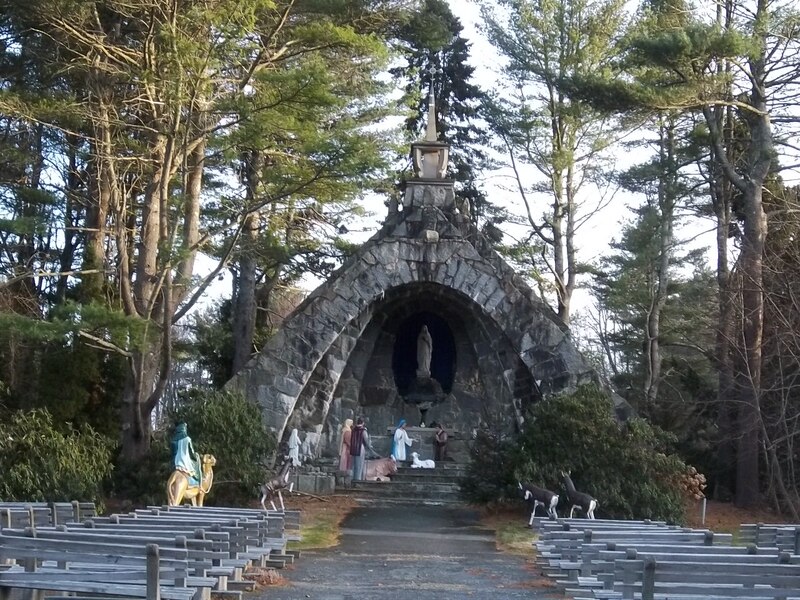 This year on a cold, blustery Sunday we visited St. Anthony’s Franciscan Monastery in Kennebunkport. The estate of William Campbell was purchased in 1947 by exiled Lithuanian Franciscans and converted to a monastery. The park-like grounds, which sweep down to the KennebunkRiver, are very handsome and invite walks and meditation. In front of Our Lady of Lourdes Shrine, set in a wooded grove, the Monastery has displayed a very striking, life- size Nativity scene. The Nativity, in its tranquil setting in front of the impressive grotto-like shrine, is captivating. While we were there, two other people arrived and also took pictures. 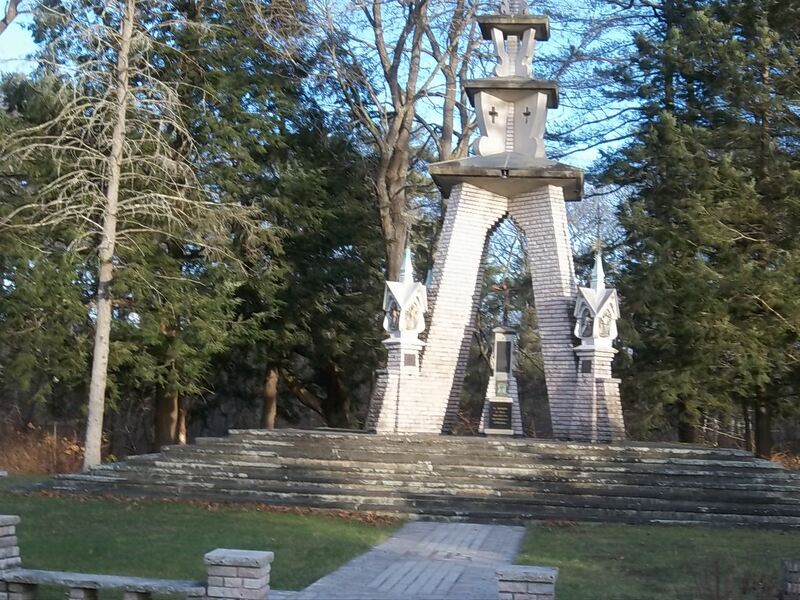 As you enter the grounds, a sculpture, known as “The Triad” is on the left. 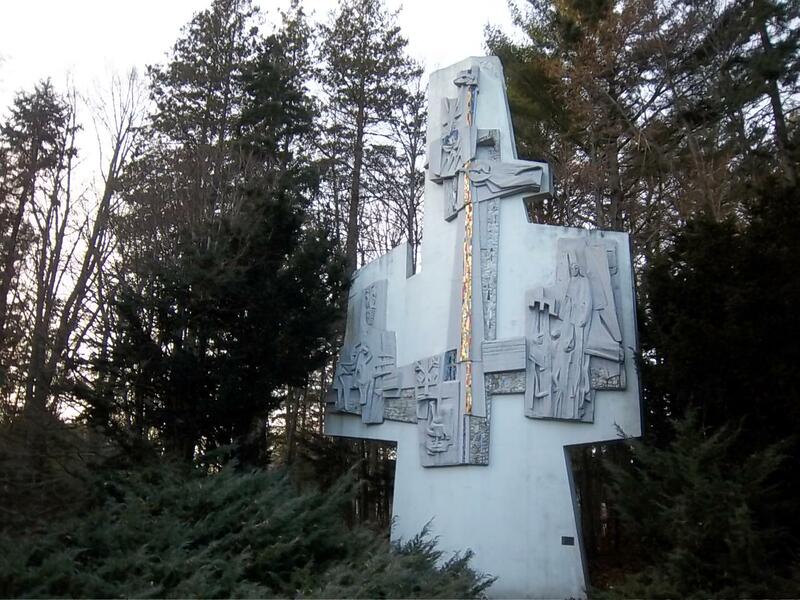 It was sculpted by a Lithuanian, Vytautas K. Jonynas, for the Vatican Pavilion at the 1964-65 World’s Fair in New York. St. Anthony’s Chapel, built in 1965-66, has magnificent interior decorations also designed by Mr. Jonynas. There are several other religious structures on the grounds, all Lithuanian in style. This whole complex is very interesting, but because of the frigid wind when we visited, we didn’t explore as much as I would have liked. The Tudor-style main building is now a guest house used by visitors to Kennebunkport. The restaurant is open to the public for breakfast on Saturdays and Sundays from 7:30 to 9:00. A gift shop on the lower level of the church sells a wide variety of religious items and books. 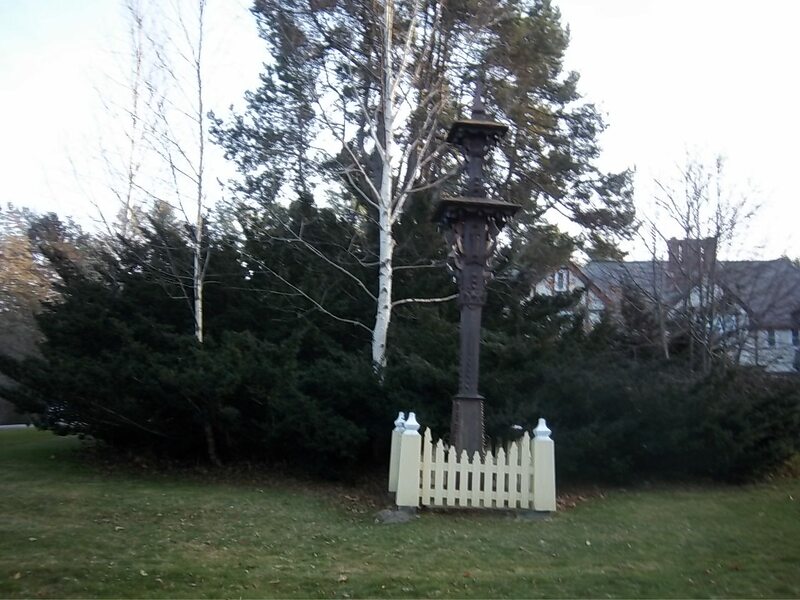 As part of the Kennebunkport Christmas Prelude celebration, there will be a carol sing on Friday, December 6, at 6:30 at the entrance to the monastery grounds. A visit to St. Anthony’s Monastery can provide a serene interval in the hectic Holiday season. St Anthony’s Monastery is located at 26 Beach Avenue, Kennebunk Beach, Maine. 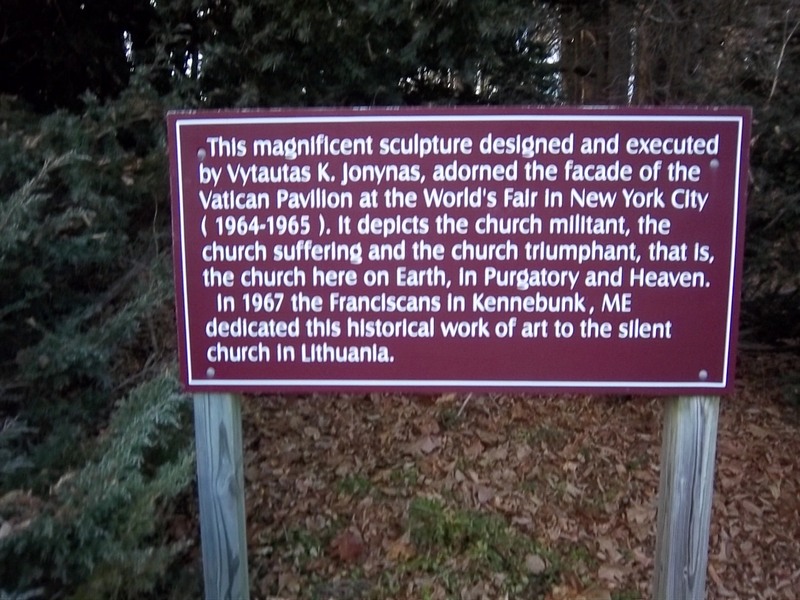 This entry was posted in Uncategorized and tagged Kennebunkport, Maine, St. Anthony's Monastery, Vytautas Jonynas. Bookmark the permalink.